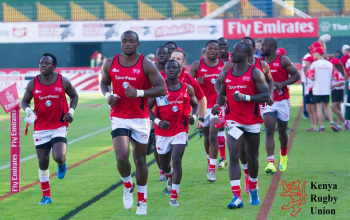 Kenya 7s are currently without a sponsor after Brand Kenya’s deal ended after Cape Town 7s. 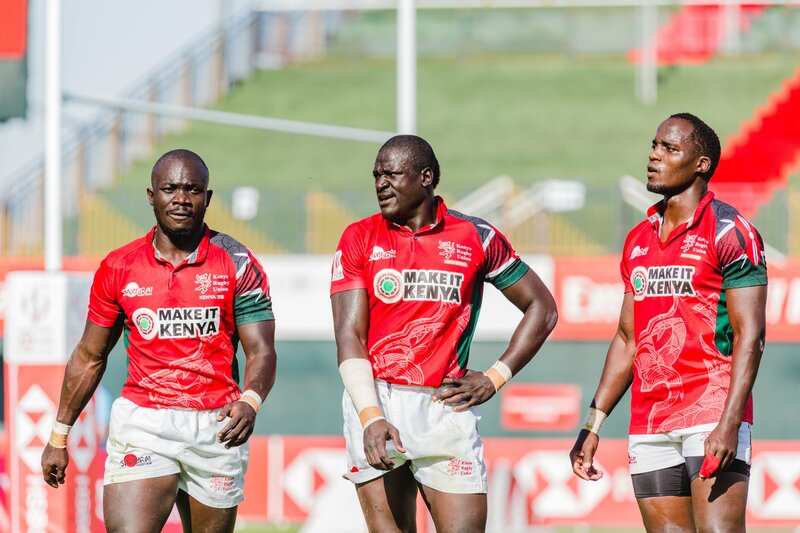 Shujaa are likely to play with plain shirts at Hamilton and Sydney 7s legs of the 2018/19 HSBC World Sevens Series in January as confirmed by Kenya Rugby Union CEO . 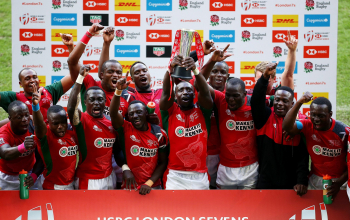 The Brand Kenya sponsorship under ‘Make it Kenya’ tag was signed before last season’s London and Paris 7s and was due to run for four months. The fact that Kenya 7s players masked off sponsors’ name in Paris meant KRU had to make up for that with two extra legs. Dubai 7s and Cape Town 7s legs in 2018 were make-up legs. 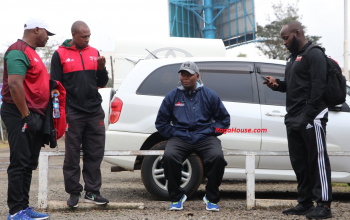 Raga House understands the Brand Kenya deal was worth Ksh20 million for the short period and covered only Kenya 7s. Before London 7s, Kenya played with sponsor-less shirts including Vancouver and Hong Kong 7s legs where they reached cup finals. This comes a time Kenya Rugby Union is in need of money. 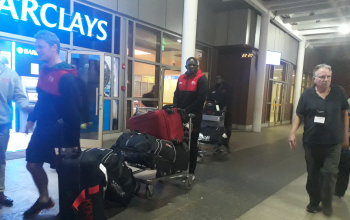 Talks between the Union and Kenya 7s are still on-going concerning new contracts for 2018/19 season with some players having returned their copies while other have not as Raga House understands. Kenya 7s now remains with Bidco as the only back-shirt sponsor. Earlier this year, Sportpesa cancelled sponsorship for rugby entities which also included Kenya Harlequin after the government imposed a 35% tax on gross profit. They had injected 0.6B shillings to KRU. 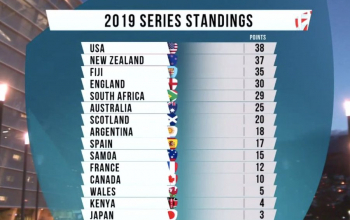 Since Sportpesa left, the Union has found it hard to pay Kenya 7s bonuses some which amounted to Ksh600,000 per player after reaching Vancouver and Hong Kong 7s cup finals. 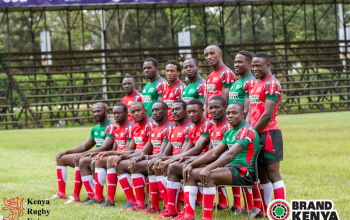 As it stands, bonuses remain a huge issue between the players and KRU as far as 2018/19 contracts are concerned. 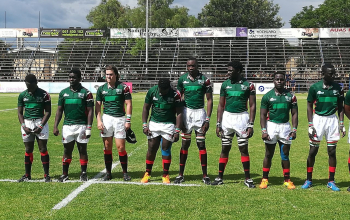 With only two legs played, Kenya is set to head to Hamilton and Sydney in January before Vegas and Vancouver in March, Hong Kong and Singapore in April, Paris and London in June.